Find hotel near Centro Comercial Buenavis ..
A shopping mall sprawling over 12000 sqft that has everything you can think of under its roof. From famous foreign brands such as Gucci, addidas, marks and Spencer and a lot more to accessories, jewelleries, appliances etc the mall has it all. It has a lot of restaurants for refreshments as well as kid’s play area and cinema hall for recreation purposes. A perfect shopping destination for family and friends and also a place where you can have a lot of fun. 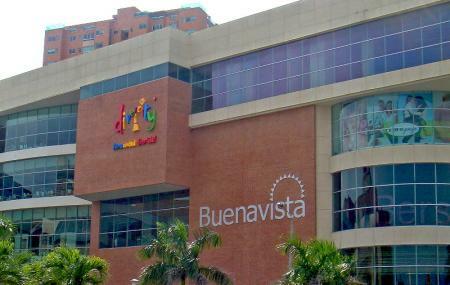 How popular is Centro Comercial Buenavista? People normally club together Zoo Of The City Of Barranquilla and La Troja while planning their visit to Centro Comercial Buenavista. Christmas Eve in this mail is fantastic, even though there's a lot of people, you have a good time there. Enjoy different foods, buy clothes and shoes, take your kids to the attractions park.